Insulator Spinner. 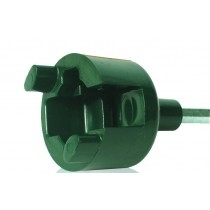 Fits most popular wood screw insulators. Requires a drill with 13mm chuck.